Every now and then you see a published result that has exactly the right kind of data, in sufficient amounts, to make the required claim. It’s rare but it happens, and as a data lover, when it happens it is tremendously satisfying. We analyze the effectiveness of consumer financial regulation by considering the 2009 Credit Card Accountability Responsibility and Disclosure (CARD) Act in the United States. 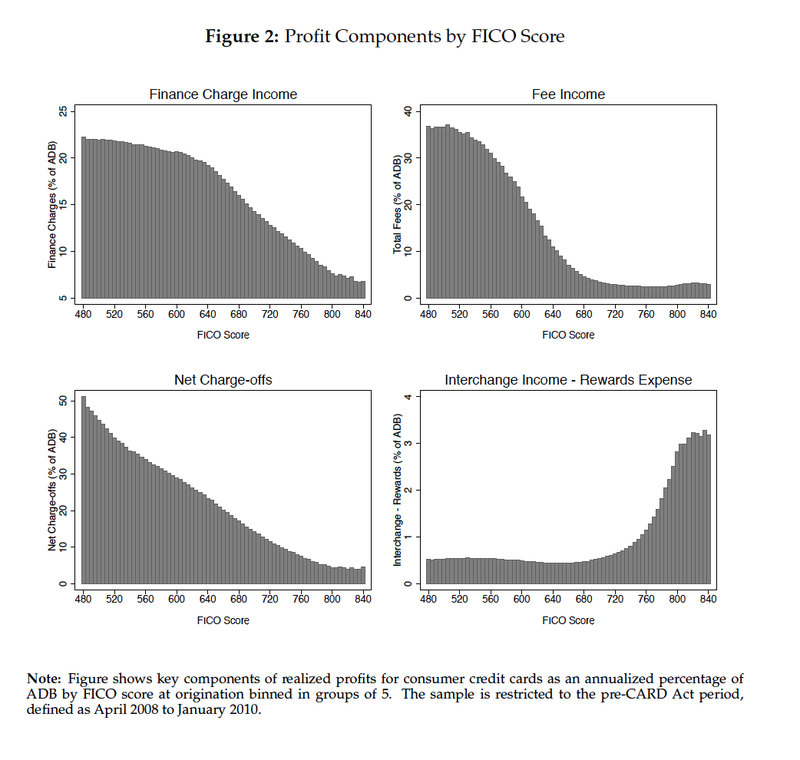 Using a difference-in-difference research design and a unique panel data set covering over 150 million credit card accounts, we find that regulatory limits on credit card fees reduced overall borrowing costs to consumers by an annualized 1.7% of average daily balances, with a decline of more than 5.5% for consumers with the lowest FICO scores. Consistent with a model of low fee salience and limited market competition, we find no evidence of an offsetting increase in interest charges or reduction in volume of credit. Taken together, we estimate that the CARD Act fee reductions have saved U.S. consumers $12.6 billion per year. We also analyze the CARD Act requirement to disclose the interest savings from paying off balances in 36 months rather than only making minimum payments. We find that this “nudge” increased the number of account holders making the 36-month payment value by 0.5 percentage points. Rich people buy a lot, poor people pay lots of fees. Interestingly, some people in the middle lose money for credit card companies. Poor people are great customers but there aren’t so many of them. The study compared consumer versus small business credit cards. 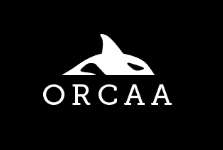 After CARD Act implementation, fees took a nosedive. 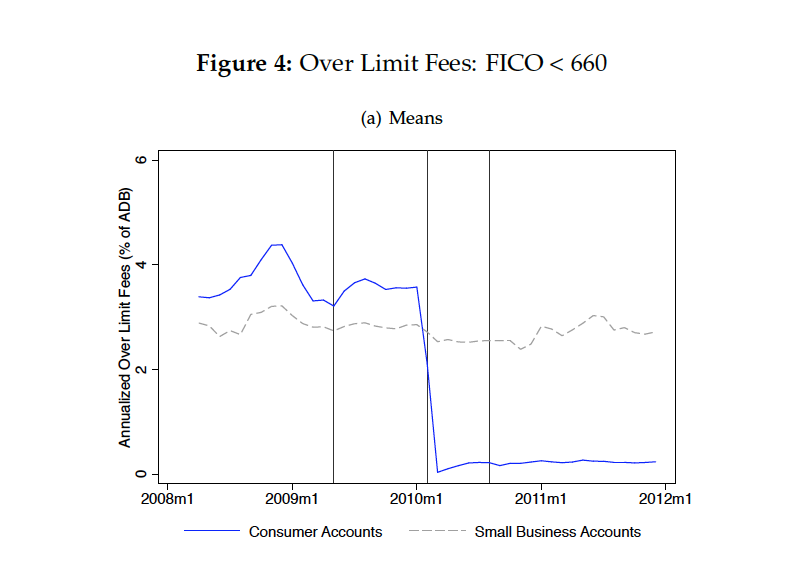 This data, and the results in this paper, fly directly in the face of the myth that if you regulate away predatory fees in one way, they will pop up in another way. That myth is based on the assumption of a competitive market with informed participants. Unfortunately the consumer credit card industry, as well as the small business card industry, is not filled with informed participants. 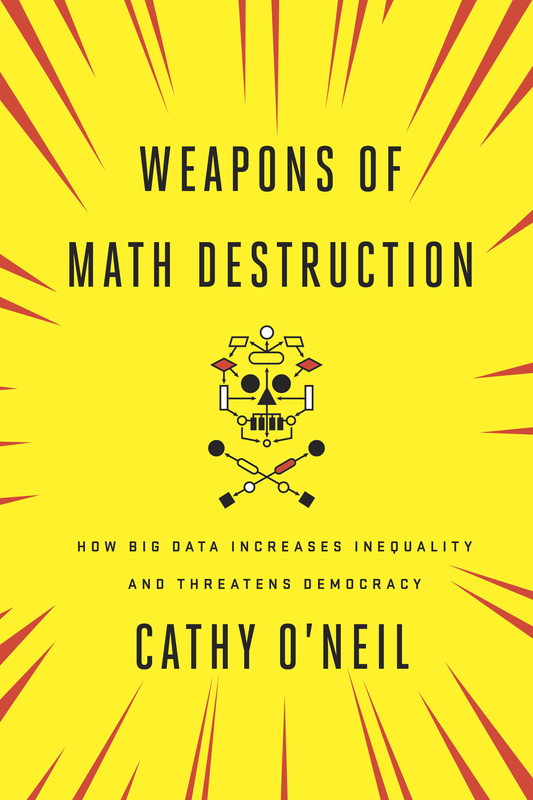 This is a great example of how asymmetric information causes predatory opportunities. In financial modeling it is customary to subtract the risk-free rate from whatever rate is being used. Since the risk-free rate dropped to close to zero, it is not surprising that the analyzed rate went down. Yesterday my wife received a notice from her credit card company that the no-annual-fee card she had was now going to cost $55 per annum. She called and cancelled the card. So, yes, the credit card companies are trying to make up the lost revenue. This is compared to business cards. It is contemporaneous. So I don’t think that argument holds, assuming I understand what you mean. I’m all for the CARD Act, but I find the study misses the point. I’m not concerned about bank profits, and I’m not concerned about volume of credit. I’m concerned about availability of credit, to the extent that such availability is both 1) prevented by the regulation, and 2) otherwise economically rational. The crucial questions are: How many people lost access to their card offerings or cancelled their cards as a result of the CARD Act? What happened to these people compared to before the CARD Act? Proxy questions such as volume of credit, or interest rate paid by those who have credit, do not really answer the core questions. It does not really matter to me that credit card companies kept card volume constant; they might have done so simply by increasing their offerings to rich people to make up for the loss of business among poor people. The canonical example of a CARD Act victim would be someone who lost their house (or suffered some similarly severe financial loss) but would have otherwise kept it if only they had had access to a credit card for a few crucial months. The study here does not really attempt to measure these occurrences. 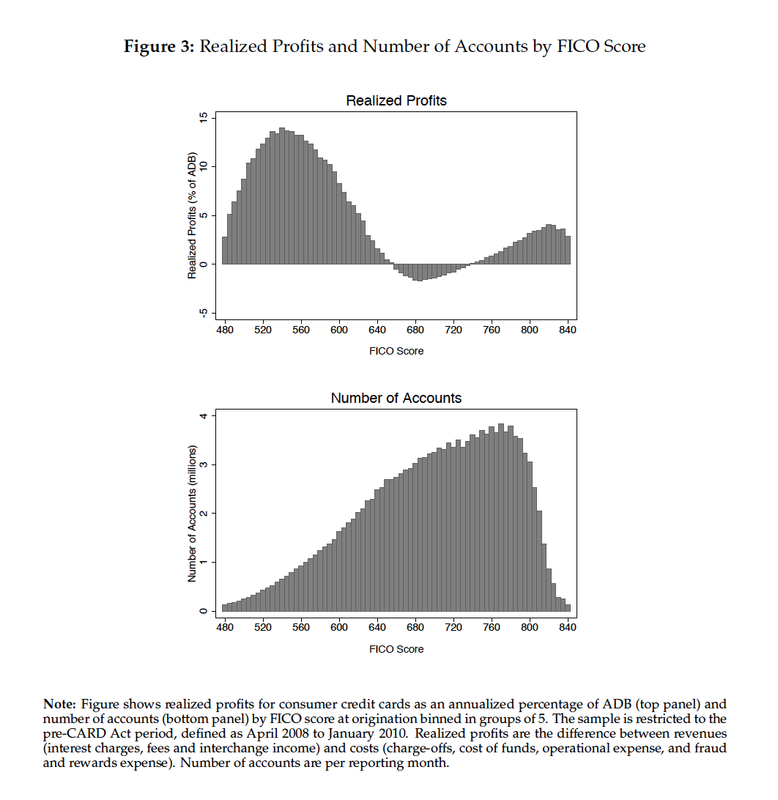 I would like to see the change in number of accounts by FICO score (pre/post card act). This is not the only option, “… if you regulate away predatory fees in one way, they will pop up in another way” – banks can also drop unprofitable customers. They may carry unprofitable mid teir FICO scores with the hope of making a profit in the future. Low FICO scores are indicative of high risk, risk has a price – you can NOT regulate that away. Actually if you look at the number of accounts (Table 1), there are 30 million fewer consumer accounts after the CARD act, and 1 fewer small business accounts. What do you want to bet those accounts were from the lower FICO scores? What are those people doing now? Loan sharks? have you really helped them? Let’s open a Post Office bank and give them even better deals. Because the Post Office does such a wonderful job with mail and packages? And because they are already losing tons of money? Have you ever tried calling customer service for the Post Office? I find that the USPS is much more affordable than my local UPS and FedEx stores, has friendly customer service people who are dealing with much higher demand than the UPS/FedEx folks, and refrains from aggressively trying to upsell me on services I don’t need. I compare the prices on line. Depends on what you are shipping. Media Mail (heavy books, for example) is a bargain at USPS. As for service, we have 4 Post Offices in what was once one zip code. The clerks always seem to be on break, no matter what time of day. Misinformation is routinely given out, which I then have to double check with other sources. Packages are routinely mishandled, and magically delivered after you inform the shipper of non-receipt. (Even got an email from usps.com that a package was delivered on X. Then, finally got in on X+3. Carrier said that it was a routine incident. Said it happens all the time. Not with FedEx or UPS. I am sure service is better in smaller towns where the clerks cannot hide behind anonymity and are probably members of the same community. I’m also wondering if that means some people had 3 credit cards and now they have 1. Why yes, I’d argue that it does an amazing job with mail and packages. And actually the finances on the Post Offices have been politically skewed: see http://thinkprogress.org/economy/2011/09/28/330524/postal-non-crisis-post-office-save-itself/# for example. That retiree health-care pre-funding issue is tricky. Back on topic, though–a Post Office bank would in principle be a good idea, but I’m not sure how it would get around the issue that providing credit to people with poor credit histories is not cheap. Great post! I agree the CARD Act is a good thing. Financial institutions are heavily regulated in most areas and those areas that are not grow these bubbles of predatory pricing like a balloon would if you squeeze it down. I really hate it when my credit card company says I went over limit on a business trip so my interest rate is now 29.9% – It’s a joke. The whole business model is whacked.